It’s a bright day, but things haven’t quite gone to plan. You didn’t score that hot internship you really wanted, or your creative labor of love fell just a tad short of securing that renowned exhibition. Man, that really would have taken your career to the next level. So you take a walk. Anything to lift the heavy cloud of disappointment that refuses to recede in light of what feels like the ultimate failure. The ultimate missed opportunity. Could you have worked just a little bit harder? Just a little bit longer? Who can even tell? Mindlessly scrolling down your Twitter feed, chock-full of witty quips and inspirational quotations, you come across something that tugs at the edges of familiarity. A turn of phrase that feels ever-so-recognizable. “And know that what has passed you by [and you have failed to attain] was not going to befall you, and what has befallen you was not going to pass you by” [Tirmidhi]. “And know that if the nation were to gather together to benefit you with anything, they would not benefit you except with what Allah had already prescribed for you. And if they were to gather together to harm you with anything, they would not harm you except with what Allah had already prescribed against you. The pens have been lifted and the pages have dried” [Tirmidhi]. What a beautiful thought, that the lessons offered by this quote transcend all that is worldly in order to settle on an etiquette that promotes peace of mind in all our endeavors, therefore appealing to the masses, irrespective of whether one is Muslim or not. How very encouraging. 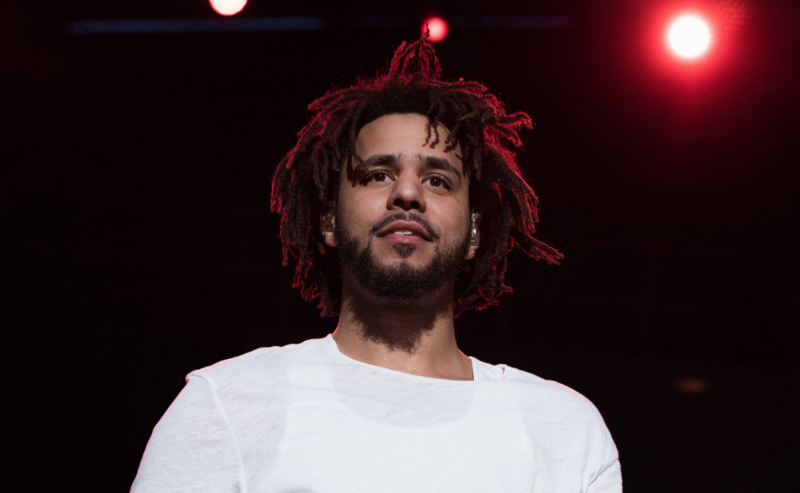 Sure, J. Cole used the phrase to contextualize the “heart break” he experienced in the early days of his career, but what this quotation offered him was the strength to acknowledge his hard work, to put his faith in something greater than himself, and to move past onto a brand new day, filled with brand new possibilities. The value in this attitude is indescribable. It offers one the peace of heart to put in your best effort, all the while keeping faith in a higher power, and knowing that even if this particular thing doesn’t work out the way you had hoped, the blessing of a more hopeful and successful tomorrow remains. Although some may argue this, by no means does this quote encourage Muslims to be fatalists. Quite the opposite, this hadith of Prophet Muhammed (P.B.U.H.) encourages believers to never let failure define their abilities, or their being. Because, as our ummah is well-aware, Allah is the greatest of planners, and we, as Muslims, are blessed to believe that if something didn’t quite work out, that it truly wasn’t what was best for us. What could possibly bring about more serenity in the way we go about our daily lives than this attitude?